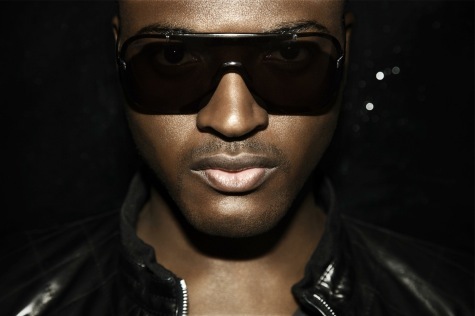 British singer/songwriter/producer Taio Cruz is no stranger to the top of the charts in his home country—in addition to his own hit “Break Your Heart” reaching #1 last year, “Never Leave You,” a track he wrote for Tinchy Stryder and Sugababes member Amelle Berrabah, also achieved the same feat. After the jump: our Q&A with Britain’s latest hot export, who’s currently preparing the stateside release of his album Rokstarr. IDOLATOR: Your second album Rokstarr has been out in the UK since the fall. Are you writing new songs for its U.S. release? TC: Yes—I’m always writing songs! I’ve got quite a few good ones from Rokstarr and the Departure album. I’ve been in the studio with Dr. Luke and Dallas Austin doing sessions. So hopefully good stuff comes out of that. So far so good—and congrats on “Break Your Heart” becoming your first American hit. How did you first connect with Ludacris? TC: Well, I always thought he was amazing as an artist, and we wanted someone for the record. He was the first one that came to mind as a rapper who never fails to make good music and give great performances. We reached out to his management and he said he loved it and wanted to jump on it. No?!? TC: I don’t have any dirty pictures of Ke$ha but we are shooting the video for the song soon and I’m sure we’ll take some then. So, even better—you’ll have moving dirty pictures of Ke$ha. Excellent. So, given that you’ve written for artists like Justin Timberlake, Britney, Sugababes and Tinchy Stryder, how do you determine which of your songs you want to keep for yourself and which ones you’re willing to give over to other artists? TC: Well, sometimes I specifically write it for someone else, and in that case it’s theirs by default no matter how good the song is or how much I love it. If I’m writing just in general I am always inspired. So I’m not overly pressured to keep records for myself—I feel like I will write another song that will be better and, for the moment, be my favorite. Speaking of Sugababes, you have a good relationship with them. Was it odd to work with the trio while they were going through such an abrupt lineup change? TC: It was very weird. One week I was with them and the next week [there was] the new set up. I’ve known Jade [Ewen] for a long time, so I’m quite happy that she is doing well and in such an amazing band. I’m happy for them. Will you be doing any live appearances or touring in the States at some point this year? TC: I would love to do a tour. There aren’t plans for a tour just yet but hopefully with the upcoming album there will be a demand by the fans so Taio can rock out with the Rokstarr album. Tying in with that, you’ve also got the Rokstarr line of sunglasses. Where’s the best place for people to purchase them at? TC: The best place to buy the shades are at www.rokstarr.com—buy it online! The Rokstarr line of sunglasses is sort of a brainchild of mine. It’s a brand that I really really love. I’m a big fan of Chanel and thought there should be a male equivalent of black and white sunglasses. It has a very slick art direction for a clothing brand. I wanted to be the spearhead for that brand, and it’s working out pretty well.